Travel destinations abound in Japan, but Fukuoka doesn’t often make the list. The biggest city on the Kyushu island may not have a star attraction but it’s perched perfectly for a relaxing vacation. 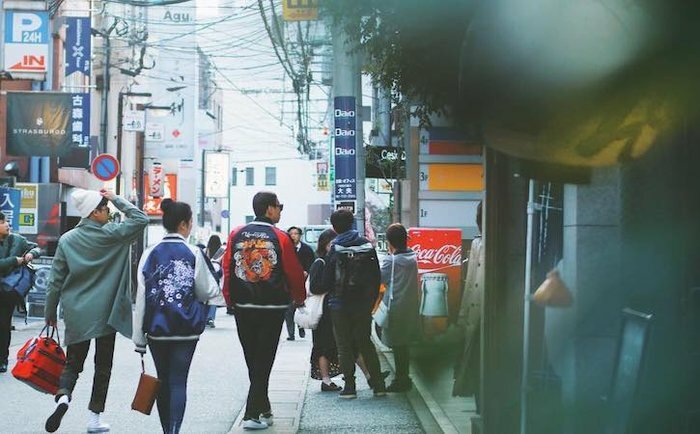 The city is far more laid-back than its counterparts, and whether you’re sampling its world-famous ramen or hopping through nearby islands, what you find may surprise you. Fukuoka is actually two cities - the port city of Hakata and the former castle town of Fukuoka. The two parts were united into one city in 1889. Fukuoka is well-known in Japan for two major festivals. The Gion Yamakasa is held in the first half of July and culminates in a race between groups of people carrying massive wooden floats. (Can’t picture it? Here’s a video.) In May, Hakata Dontaku draws thousands of people for two days of extravagant celebrations. 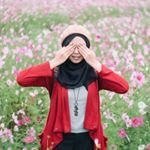 Planning travel around these events guarantees you immediate cultural immersion, but you’ll also find the city much more crowded and prices much higher. 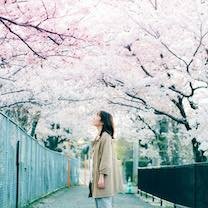 If you want to visit Fukuoka at its best (aka quiet and calm) consider traveling from September to November. 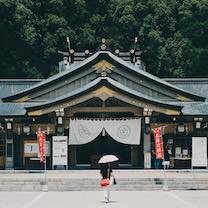 It wouldn’t be a trip to Japan without stopping through some incredible ancient shrines and temples. 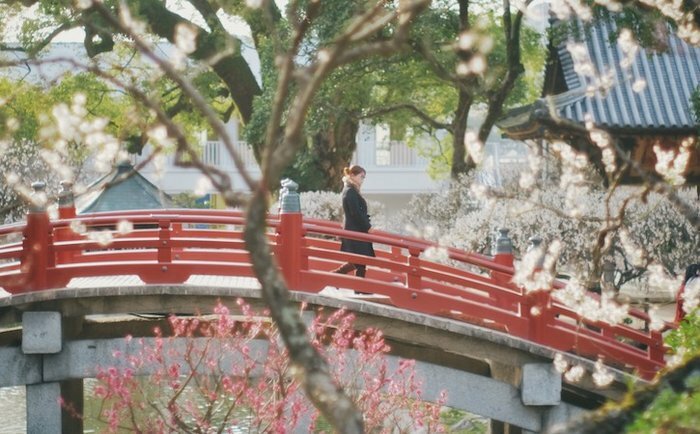 Wander back in time at Shofukuji Temple, the first Zen temple in Japan. 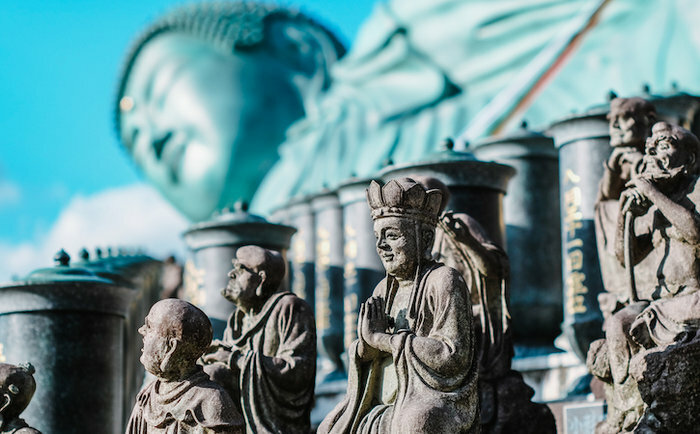 For something grand, travel outside the city to Nanzoin Temple to find the famous reclining Buddha statue, possibly the world’s largest bronze statue. Finally, encounter the familiar pagoda-style temple of Tochoji, which features its own stunning Buddha statue. 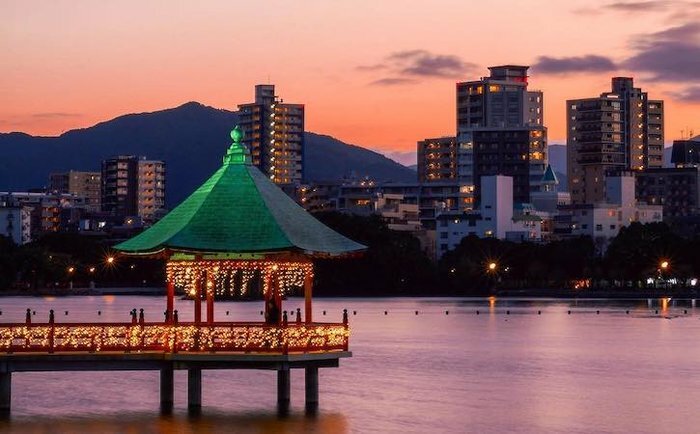 Perched along the water, Fukuoka is positioned perfectly for exploring nearby islands. 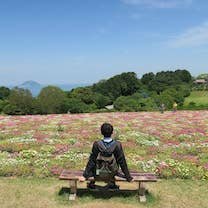 Shikanoshima and Nokonoshima are two of the most accessible and popular islands off the coast, and both feature plenty of outdoorsy activities. 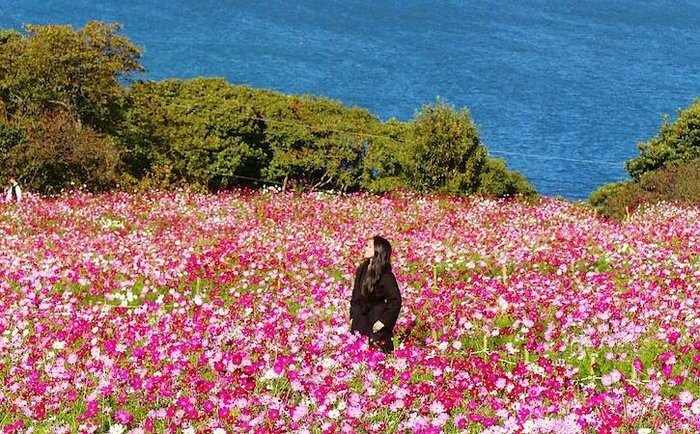 A 10-minute ferry ride will get you to Nokonoshima, where you can wander stunning flower fields with ocean views. Shikanoshima is accessible by car via a narrow sandbank, and offers beautiful beaches and ancient shrines. Finally, the famous “cat island” of Ainoshima is filled to the brim with furry feline friends, and is easily accessible for a purr-fect day trip. 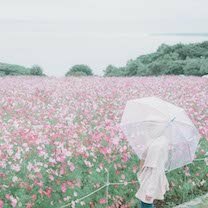 If you can’t make it to the islands, then drive to Uminonakamichi Seaside Park, which has everything from flower gardens to a Ferris wheel and zoo, perfect for families. Fukuoka is one of the oldest cities in Japan, and as such is brimming with history. The ancient Fukuoka Castle ruins are worth a visit, and though there’s not much left it’s easy to imagine what was once the largest castle of Kyushu. 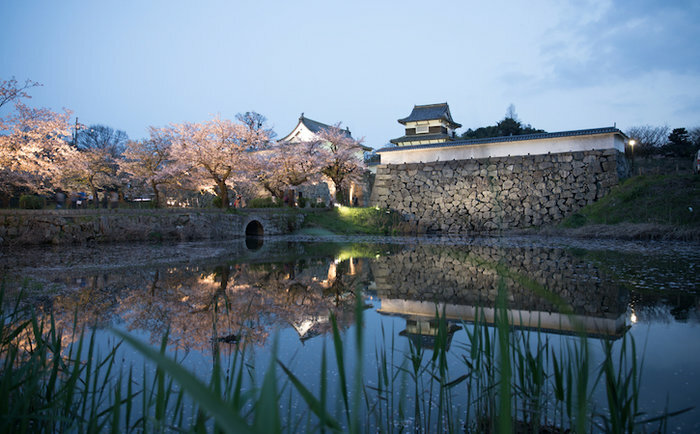 Visiting the castle during cherry blossom season is especially enchanting. Take a boat ride through the canals that once served as the castle’s moat, and then wander through nearby Ohori park. Bikers and joggers will especially love the paths that wind around the lake and are framed by blossoming trees. What Fukuoka lacks in tourist attractions it more than makes up for in a thriving local life. The city is the birthplace of the Mentai Rock movement and tonkotsu ramen, so you won’t be disappointed with the local offerings. Whether you fancy shopping in the over-the-top Canal City mall or belting out your favorite song in the karaoke bars along Oyafuko Dori (Delinquents’ Street), you’ll have a blast. 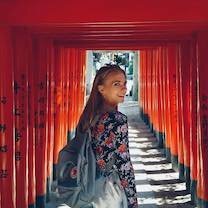 Be sure to visit the Daimyo district, which is bursting with trendy stores, restaurants, and bars. 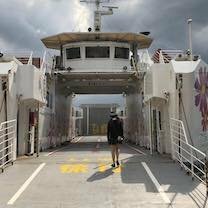 "Fukuoka charms my heart with its beauty, tranquility, and convenience. It is the biggest city of Kyushu which is located in the South of Japan. 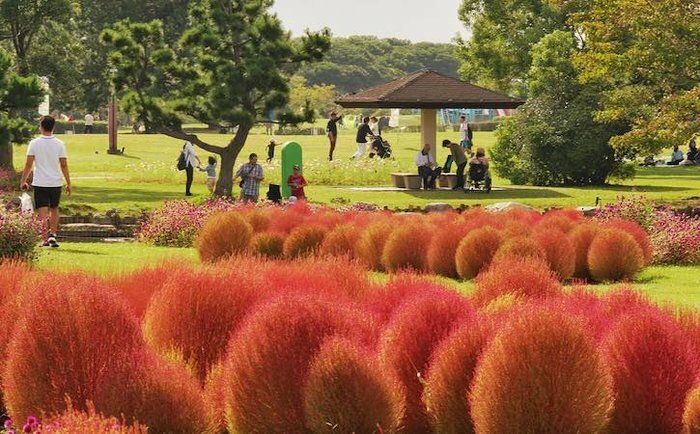 Blessed with vibrant culture, picturesque nature, and mouth-watering food, you might get a little of everything you want from Japan in Fukuoka. Kyoto and Nara may come to mind first when talking about historic towns of Japan, but Hakata has a longer history. The shrines and temples have taken a significant part in Fukuoka’s history." For years, Fukuoka has been known as a ramen paradise. And for good reason. 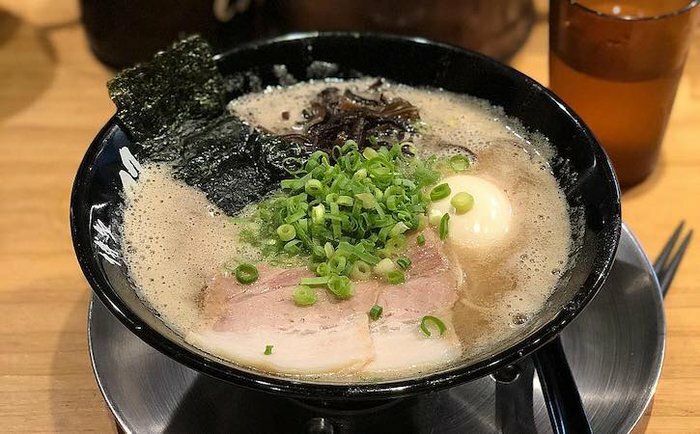 The city originated the famous, pork-based tonkotsu ramen, and you can bet that no matter where you go there’s delicious noodles to be found. For an authentic dining experience, find a Yatai, a mobile food stall. Yes, many of these serve up delicious ramen but you can find pretty much everything from French food to cocktails. You can find them throughout the city center, but if you want a sit-down meal try Yamanaka Honten for sushi or Daishizen Ohashi for amazing yakitori. 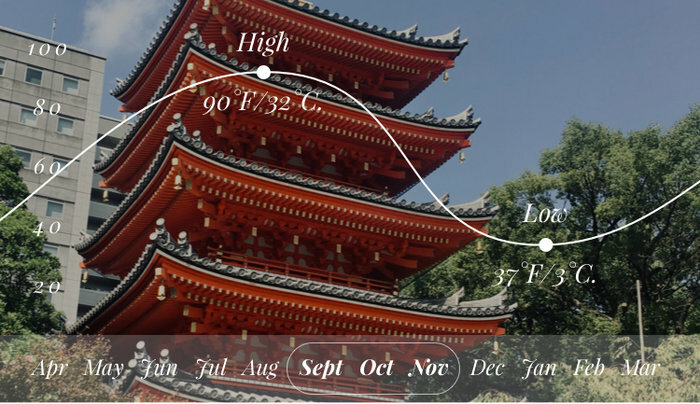 Japan has long been revered for its hospitality, and whether you stay in a budget capsule hotel or a stylish ryokan, you’ll sleep like a baby. Zen Oyado Nishitei is one of the best ryokan (traditional Japanese guesthouse) in the city, and though it’s furnished simply it offers an incredibly homey experience. 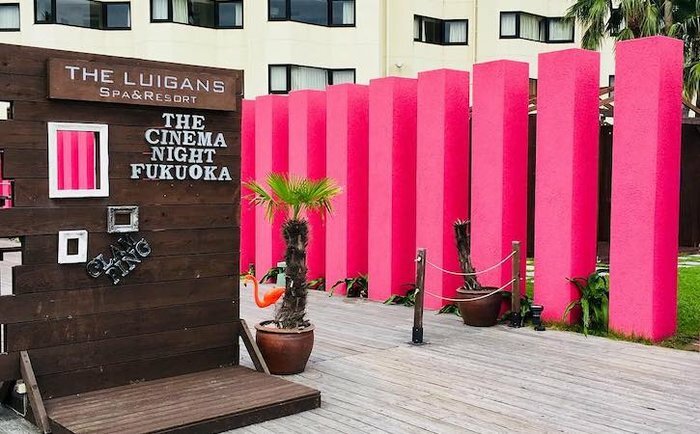 For something trendy, head to With the Style Fukuoka, a hip and luxurious boutique hotel advertised as an urban resort. And for those looking to get out of the city, head down the coast to The Luigans, a beachside spa and resort that supplies perfect tranquility.